Quick wins for Thornton Heath! We want to make quick and lasting improvements to our High Street. Quick wins such as planting more greenery, installing decorative metalwork at the park and brook, and lighting by the clocktower. We aim to make more improvements to our high street restoring its character, attractiveness and reputation now rather than just waiting for the regeneration project, complete in 2017. Our “quick wins” will bring pleasure to many, maintain the community’s motivation for improvement as well as restoring pride and keeping up the momentum of small changes already begun: we have planted, painted, and litter picked! We plan to plant trees and more greenery, adding a sense of well being for all who live, work and learn in Thornton Heath. 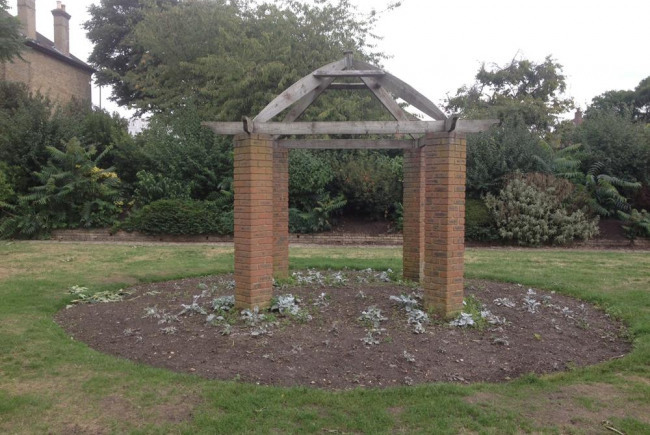 To encourage more people to use the lovely main road park we will add extra plants (especially on the empty pergola) and a decorative metal arch to highlight its entrance. So volunteers can easily water plants we will install a garden tap. Fitting tree fairy lights near our historic clocktower will make the area feel safer and replacing a wall with metalwork railings will allow everyone to see the little brook flowing under the main road. This project is a great idea because it will contribute positively to regenerating our much neglected environment and restoring a sense of pride. 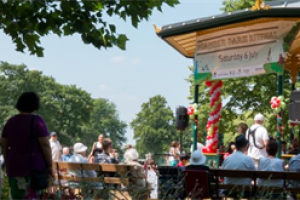 It does not focus on just one section of our community but will benefit many different people who use the high street, young and old, residents and visitors and by volunteering together our community is strengthened. We want the quick wins to make a lasting improvement and highlight the distinctive character of our area. We have gathered ideas for the project at local formal meetings as well as informally when out and about carrying out improvements, also liaising closely with the local council. These small changes are at the start of a new beginning for Thornton Heath and can stimulate larger growth in our town, encouraging more diverse businesses to come here. You too can be part of this amazing project leaving a lasting legacy in Thornton Heath! Fundraising for our quick wins project starts NOW! Please start pledging to be part of these exciting improvements to our town, Thornton Heath. Thornton Heath Community Action Team is a group of local residents and community leaders who are undertaking positive action to make Thornton Heath a cleaner and greener place to live, work and learn. Members are from many diverse organisations within the community. We have carried out a significant number of activities which have included litter picks, bulb planting, organising a Christmas tree and decoration-making session for children, street champion recruitment and installation and maintenance of flower planters. Project Delivery Manager: Thornton Heath Community Action Team The Project Delivery Manager takes legal responsibility for receiving and spending the funds raised and ensuring the project is delivered. 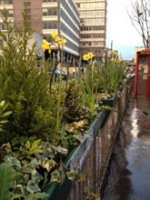 Contractor: Thornton Heath Community Action Team The team responsible for building or installing the project.